Out of all the challenges, I believe this one was the one that baffled me the most in terms of finding a suitable candidate. How does one determine what has been read by “everyone”? Who is everyone? So in an effort to find answers, I put the question on Facebook. I might have misjudged how much more confusing that would make it. The responses strongly varied, especially depending on the person. I’ve made a complete list below and all the reasons I didn’t choose each one, but you can at least see what other people thought “everyone” had read. The responses were so many that I ended up being almost overwhelmed by them. And to add on to that there’s this unfortunate problem I have where I’m horribly stubborn. I refused to read Harry Potter for years. Mostly because of the fact that everyone was reading it. For some reason, all of my life I’ve had a problem where if something is insanely popular, I almost always want to shy away from it. My friends will tell you that I still haven’t watched Doctor Who even though I’d probably love it, mostly because I just have this block where the more I’m pressured and the more I sense other people are loving something, the more I seem to resist. Silly, I know, but it’s the truth. So in my list of excuses you’ll definitely see some book options where it was simply a matter of my stubbornness getting the better of me. To resolve my issue of not knowing where to start, I went simple. I went to the bestseller lists…the most sold copies through all time. And from there, I picked the only book I had heard of before (I don’t know how I haven’t heard of some of them, but I haven’t) that I hadn’t read and didn’t mind reading. So here was my selection: The Da Vinci Code by Dan Brown. Here’s the wikipedia page with the things I’ve read crossed off, and green text next to two I’d never heard of. I also refuse to read 50 shades. Feel free to talk to me about it, but it’s a personal choice. So that leaves The Da Vinci Code as my best option! Now, like some of the suggestions from my friends, this one might have been a little outdated in terms of everyone reading it. It’s not currently as big of a phenomenon as it was at the time of its release, but I still can’t argue with the fact that it had a huge amount of sales, and to me, it seemed like the best option for a book everyone had read but me. For any who don’t know, the basic premise is about a symbologist named Robert Langdon who gets caught up in the murder of a museum curator at the Louvre. His discoveries there send him on a sort of treasure hunt with cryptologist Sophie Neveu, looking for answers on a secret society and the information they’ve been protecting. These puzzles all seem to connect to a deadly secret the church has been covering up for years. I want to begin my own personal section of review with a preface. I will admit upfront that I am severely biased against this book. For that reason, I won’t spend as much time talking about it as I would like to, simply because of that. I do not believe my judgement is clear enough to give you a good picture of this book, so I’ll give a little snippet of my thoughts, but feel free to just stop reading at this point. I always hate reading negative reviews, so I’ll try to keep it short. I’m a Christian. I don’t talk about my faith much on this site, since I dedicate it more to my life of reading and writing, but this is a part of me that influences my views on certain things, especially books like this. That’s not to say I didn’t think The Da Vinci Code was interesting or anything of the sort, but it does mean I came in with a different understanding than some people who aren’t religious would. I could dedicate an entire post to the religious ideas in the text, but I won’t. So I’ll keep it at this, while I don’t think this book is bad, I think it is overrated. I don’t believe the writing is particularly fantastic and thought that it felt a bit confused in terms of genre, sort of straddling an intellectual line while still trying to be something of a thriller. It was interesting though, and had I not seen the movie before I’m sure I would have found the puzzles more intriguing and been more absorbed in the plot as a whole. Brown definitely seemed to know a lot about art and symbols, which was interesting to learn a little more about. And while I might not agree with everything Brown has to say on faith, I can at least agree that there are elements of the church that I too find troubling, from its treatment of women throughout time and even today, to the forbearance of asking questions in the name of faith. I’m hoping to read Searching for Sunday by Rachel Held Evans in a few weeks, which is about questioning faith and the church, and you’ll see my review when I’m done. So in those respects, yes, Brown struck true to me, but there is a lot of other material that disagree with, but I would take too long to criticize so I won’t. Everyone has a difference of opinions when it comes to books. I know I’ve had novels on here I’ve described my love for and yet had fellow readers disagree. So I would not be at all surprised if there are readers who follow me who loved this book. No worries, I will not judge your taste. That’s one of the amazing things about literature, the fact that each book touches people differently and that no two readers see it in exactly the same light. 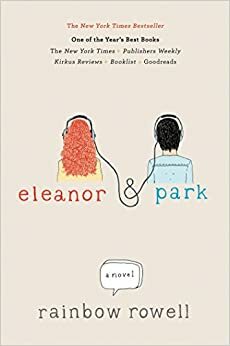 What books do you think “everyone” has read? Any popular books you just couldn’t stand? Do you tend to stay with the crowd on your reading list or deviate into your own unique choices? Here are the many options I was given by my facebook and the reason I didn’t choose each one. Twilight- I’m sorry but I passed this one as a teen and my desire to read it is even lower now than it was then. Percy Jackson- already read the first series and didn’t like the second as much. The Fault in our Stars-the movie made me bawl my eyes out so I said no. I’ve since avoided John Green books like the plague. Maybe someday I’ll actually try one, but for now I’m being stubborn. Atlas Shrugged-maybe someday, but definitely not for this challenge since it’s way too long and it holds some negative associations for me that I need to get over first before I can even think about enjoying it. The Mortal Instruments– somehow missed this teen series. I probably should read it at some point, but I was looking for more of a single book to read. The Jungle Book- good contender, I did consider. On my reading list for the future! Swiss Family Robinson- I suppose this is a classic, but I do feel like there are maybe some that are more read than this one. Frankenstein– already read, and one of my favorites! Maximum Ride- probably another good one, again wasn’t sure if it was an “everyone” book, but good possibility for sure. The Inheritance Cycle– already read all four. The Kite Runner– on my list and was a top contender. So for my selection for book 2 (technically the third book I’ve read for the challenge) I chose to read The Elegance of the Hedgehog by Muriel Barbery which has been made into a French film titled Le Hérisson (The Hedgehog). I’d seen the movie for French class before and had found it enjoyable, so I decided to give the novel a go as well. (especially since I usually do try to read a book before watching a movie). The plot revolves around two protagonists. The first is Renée who is a concierge in a fancy building in Paris. She tries to act the typical part of someone who works in a concierge’s position, being grumpy and unrefined, fat and ugly. However, her secret is that she is actually quite cultured and enjoys reading all manner of books, listens to fine music, and tries to learn as much as she can about Japanese culture. In the meantime there is also Paloma, a confused preteen who feels that life is purposeless and has decided to kill herself and set her apartment on fire. However, these two characters who both usually hide their true selves from others find a friend in the mysterious Mr. Ozu, a Japanese man who moves into one of the empty apartments. I’m sad to say I actually think I enjoy the film version a lot more than the written one. The book has lovely sections of writing, and I still found the characters interesting, but for me the plot simply dragged far too much in novel form. Barbery had sections where she spent a lot of time on philosophy. And to be honest I’ve never been much of a fan of philosophy in the first place. But if such a subject is going to be applied in a novel, it needs to be in a section that interests me and moves the plot forward, not a lengthy couple of paragraphs just expounding on basic thoughts about life. I found I actually liked Paloma in the book a bit more than in the movie. She was more interesting to me and less annoying. But I thought it was interesting that the movie focuses more on her suicide plans, while the book seemed to only throw in a rare mention of it, which to me really removed much of the tension of that whole part of the story. Renée on the other hand I think I liked more in the movie, partly because she was the one in the book more likely to drone on about particular books or philosophical ideas for pages and pages. Anyhow, I think the story idea of this book is interesting, and I do love some of the ideas of people just looking for belonging and feeling like they don’t fit in, or critiquing the shallowness of people like Paloma’s snobby family. But I think there was a lot in here that just needed to be cut or adapted to be more essential to the plot. I recently read The Art of Racing in the Rain by Garth Stein and it reminded me a bit of this in terms of having quite a bit of philosophy and protagonists very interested in questioning life. But Stein managed to apply this in a way that made feel interested int he story. He added humor and didn’t use quite the extensive vocabulary that Barbery makes use of, making it a bit easier to read. I guess my point is I think there are ways to do what Barbery did without losing the audience (or at least me). Well on to my next read. Until next time! So I’ve decided to motivate myself to read more and decided to do a book challenge I had posted a few months ago. I’ll be working my way through it, and I’d like to think I’ll be done by the end of the year, though that might be wishful thinking. For my first book I decided to read King Arthur and his Knights by Maude Radford Warren. I collect two things: antique books, and books about Arthurian legend. Hence why this one was sitting on my shelf alongside an old copy of Idylls of the King by Alfred Lord Tennyson and some version of Morte d’Arthur by Sir Thomas Mallory. I picked this book because I was taking it on a trip and it’s fairly small unlike say Les Miserables or some of my other large hardback books I own and haven’t read. Honestly, I do need to do a better job of reading the books actually on my bookshelf rather than going to the library. But sometimes I honestly forget about them. This version of the King Arthur stories turned out to be pretty simplistic. It sounds fairy tale-like when read, but it was interesting. I always enjoy seeing how different authors interpret the different myths, and the illustrations are very pleasing to the eye. My little book nook that I always seem to forget about for some reason. First book done, I’m excited to move on to my next one! Be on the look out for my future posts on the challenge. And if anyone else decides to do this please let me know so I can follow your progress too! What’s one book you own but haven’t read? Are you a person who refuses to buy a book unless you’ve already read it? What makes you decide to purchase a book?